Private investments in groundwater have emerged as the main pathway through which smallholder farmers in India access irrigation. 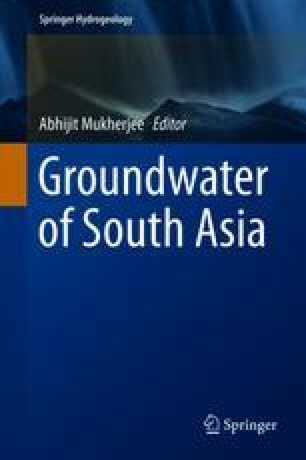 This paper discusses the role of groundwater in agrarian growth in West Bengal, India. It finds that agricultural growth in the state has stagnated since mid-1990s, after an initial period of growth in the 1980s and early 1990s. We hypothesize that this stagnation was a direct result of slowdown in growth in groundwater irrigation. The reason for this slowdown was, in turn, government policies related to groundwater and electricity. The paper then goes on to discuss the Groundwater Act of 2005 as well as electrification policies of the government of West Bengal and locates these policies within the broader backdrop of groundwater resource endowments in the state. By juxtaposing groundwater policies and resource realities, the paper questions the relevance of current regulations and suggests some policy alternatives—alternatives that are likely to propel the state and its smallholder farmers on a path of higher agricultural growth. Note: This work was done when all the authors were associated with International Water Management Institute, Colombo and New Delhi.